NIKE'S chief executive Mark Parker has hinted that the company is working on a new piece of wearable technology with Apple. 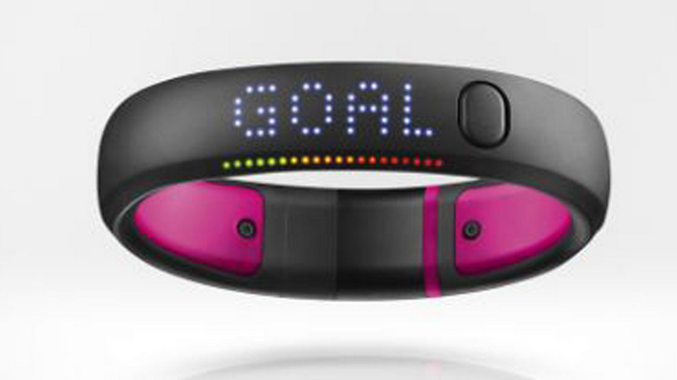 The two companies have worked together in the fitness sector for years now (the Nike+iPod activity tracker was released back in 2006) but rumours of a new collaboration started in April this year when Nike discontinued its popular FuelBand fitness tracker. Now, with the health-tech sector continuing to boom and Apple redoubling its efforts in the area with its Apple Watch and Health app, it seems the two companies are soon going to be working together again. "Technologically we can do things together that we couldn't do independently," Mr Parker told Bloomberg TV. " So yeah, that's part of our plan. To expand the whole digital frontier in terms of wearables and go from what we say is tens of millions of users [with Nike+] to hundreds of millions." Parker added that Tim Cook is currently on the Nike board and that he himself had worked with Steve Jobs with the original launch of Nike+. When questioned about the long term possibilities of wearable tech Parker was bullish, but implied that current offerings were still not up to scratch. "I think the form it takes is what's critical," he said. "You can go form very geeky wearables today to I think what you'll see in the future is more is things that are more stealth, more integrated, more stylish and more functional." Whether Mr Parker was referring to long-term trends in general or any particular product remains to be seen, but judging by the company's previous offerings a new offering with Apple would be a must-buy for many consumers.